Hardly any vacation arrangement beats exploring the Andaman coastline at your own pace on a private boat. This way of traveling includes a personalized itinerary, complete privacy at some of the world’s best beaches, and exclusive features you couldn’t find on group tours. 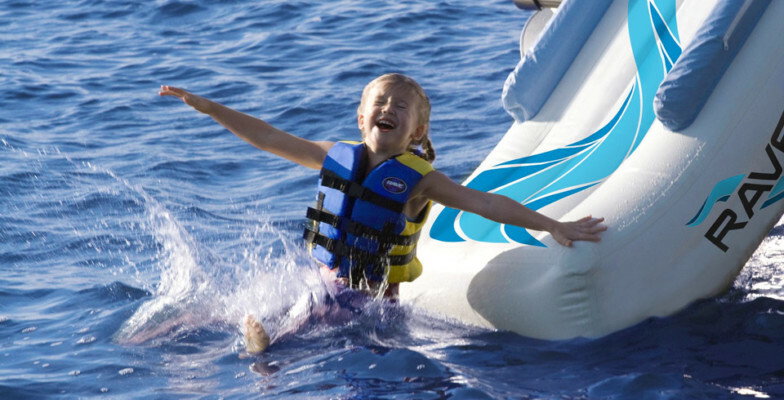 One of such prime charter cruise features is a wide selection of custom-made water toys. Adrenaline sports lovers typically opt for water skis, and children and adults alike are thrilled by items like full face snorkel masks and novel inflatable toys. Kayaks and SUP boards allow cruisers to discover secluded coves and hidden beaches, or even walk on the water while being one with nature. Have a look at our customers’ best-loved yacht charter toys in Phuket that are guaranteed to turn your trip into a private ocean party. In the company of friends and family, you get hours – or days – of fun on the water with no one else around. Traditional snorkeling sets can be found on literally every charter boat in Phuket. But have you ever tried the full face option? 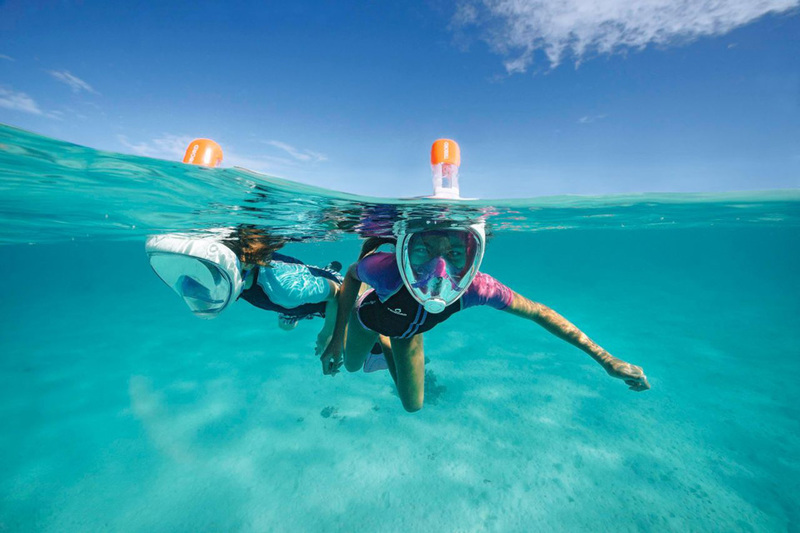 Designed primarily for casual snorkeling, a full face snorkel mask is indispensable for maxing out your day on the water. This mask is beginner-friendly and great for those who tend to get a sore jaw or mouth from holding onto the standard snorkel. Moreover, full face snorkel masks aren’t prone to fogging due to their air flow system. 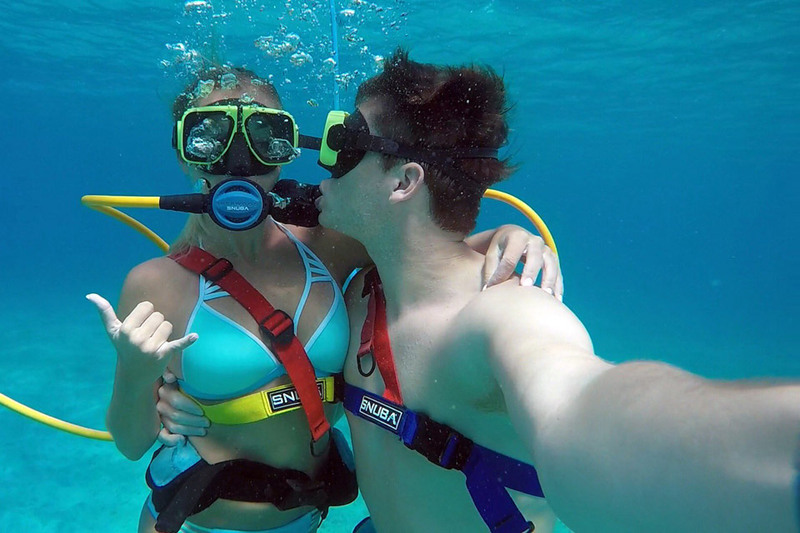 Snuba is a crossover between snorkeling and scuba that allows beginners to go underwater without needing to obtain diving training and certification first. It is a form of introductory diving in shallow waters, suitable for children and those with basic swimming skills. If you’d like to try something more than snorkeling but aren’t quite committed to deep-sea diving, we warmly recommend giving Snuba a go. 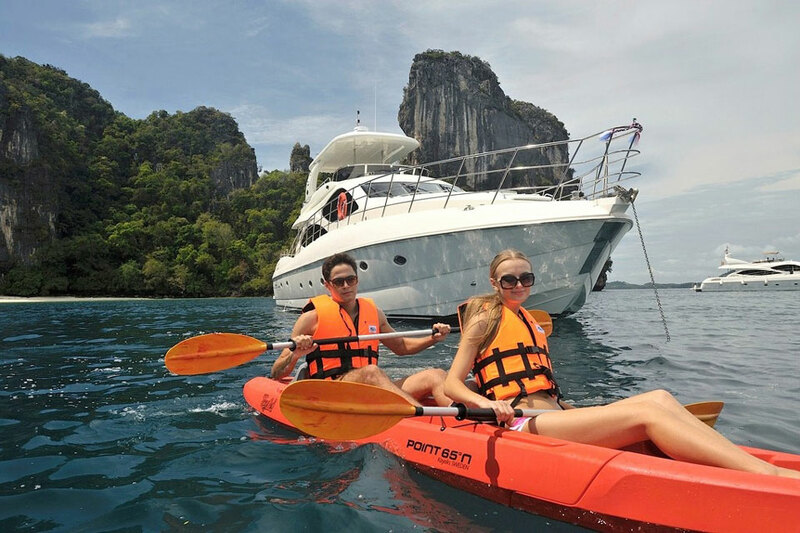 Kayaking around Phuket and Phang Nga Bay is a tranquil outdoor activity that appeals to most people. Kayaks don’t create any engine noise, allowing you to stay in peace with the sounds of nature. Also, kayaking is perfect for accessing caves and fun virtually any time of year, even in the so-called low season. Stand Up Paddleboarding (SUP) is a natural way to explore lagoons and beaches while giving your body a bit of a workout. Learning to balance the board and paddle is easy, and you can sneak up on a turtle or just paddle and have fun with your friends. Seeing through the crystal clear water, soaking the sunshine in and enjoying the absolute quiet is deeply rejuvenating – and you might fall in love with SUP-ping altogether. Being one of the most requested yacht charter toys in Phuket, waterslides are custom-made add-ons that provide an exciting drop down from the yacht’s upper deck. They are fun to use and play around with family and friends, and the best part is that, unlike in a water park, there are no queues or strangers. Every child loves inflatable toys, and the truth is – these toys provide a lot of amusement for adults too. You can play with a ball, have a swimming competition or just float around the boat for hours on end. These days, inflatable donuts, unicorns, and pizzas are among the most popular inflatables because they look great in pictures. Try them and see for yourself! 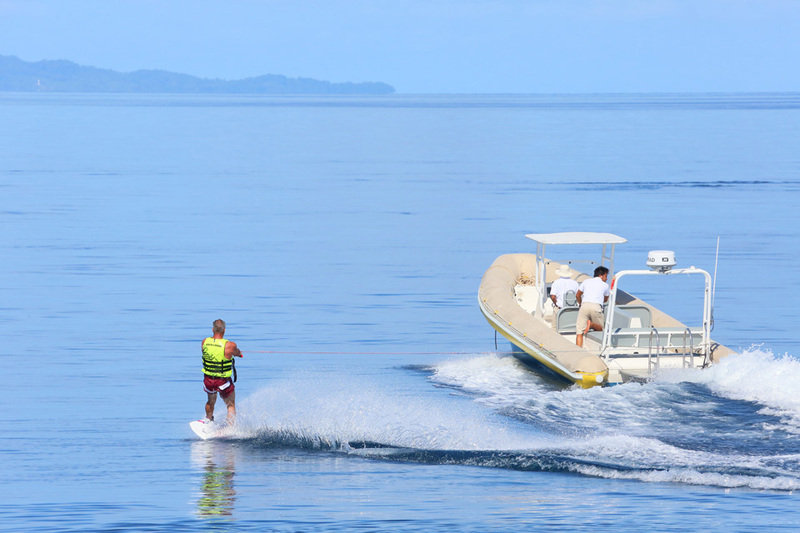 Here is something for adventurous at heart: waterskiing and wakeboarding. Although these sports may seem challenging, they are suitable for the whole family, particularly in calm waters and with the tender that makes it easy to get on your feet. Those already comfortable on water skis and wakeboards can impress the rest of their crew with elaborate jumps and slaloms. If you’ve never used one of these popular water vehicles, a private charter cruise might be the right time for it since you will be far away from tourist crowds. In addition to attracting adrenaline lovers and thrill seekers, jet skis allow you to zip from place to place with great ease. Although they may seem a bit intimidating at first, learning how to ride a jet ski is quite easy. Seabob is a relatively new luxury addition to the list of yacht charter toys in Phuket. It is often advertised as “the world’s fastest underwater scooter”. It is highly maneuverable and it can be used both on the water’s surface and for diving. Unique in its kind, this vehicle particularly appeals to sport lovers with a need for speed; however, it makes for a fun family day at sea as well. With Seabob, it’s all about bonding – or (James) Bonding. Contact Boat in the Bay team to arrange Seabob on your private yacht charter in Phuket. These are some of the most popular yacht charter toys in Phuket we currently offer to our guests. If you have any questions or special entertainment requests, let us know and we will do our best to accommodate your wishes. Happy sailing, and happy playing!